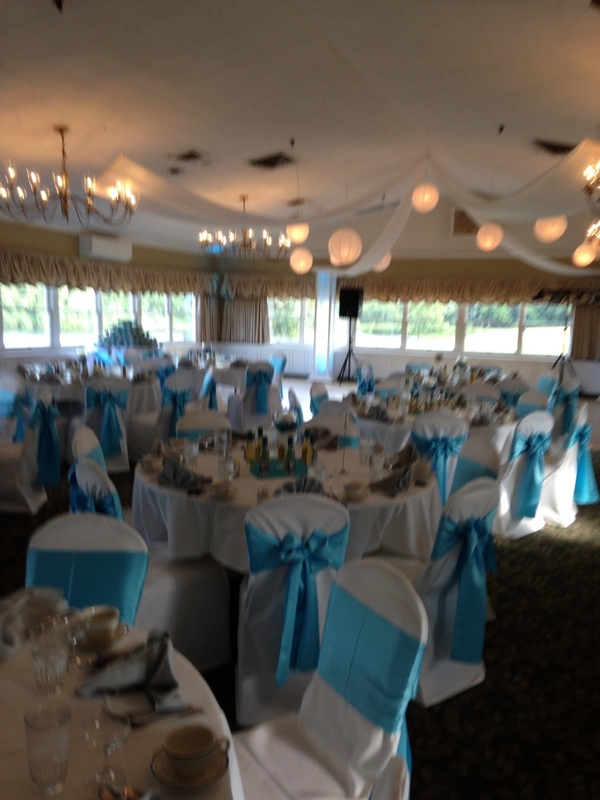 Thank you for your interest in the Manchester Country Club for your upcoming banquet function. 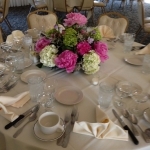 Manchester Country Club has been serving banquets and receptions for a number of years and prides itself on doing an excellent job at an affordable price. At the Club we have two rooms to accommodate your needs. The Cheney Hall is offered for larger banquets, class reunions, retirement parties, receptions, etc. 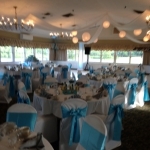 for parties from 40-160 guests with dance room available. 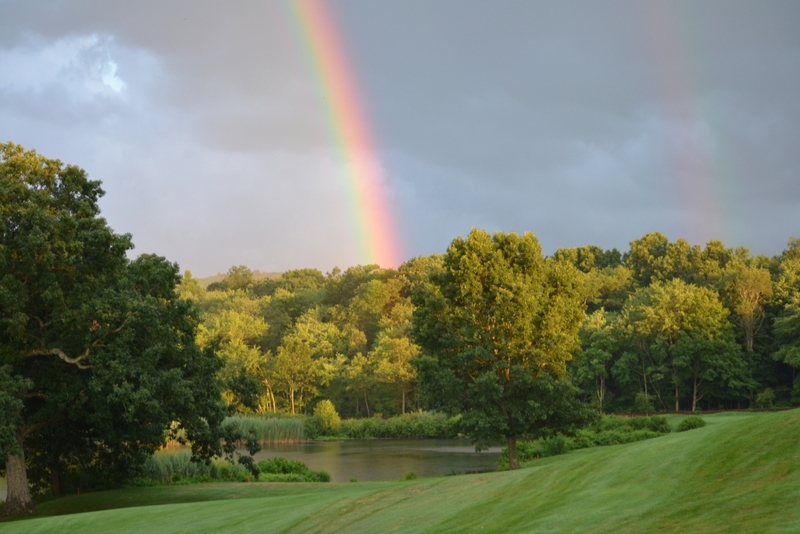 Your dining pleasure will also be enhanced by the scenic setting of the Club, which overlooks the beautiful Globe Hollow Reservoir, a lovely sight during any season. In addition to offering delicious meals with quick service, we are pleased to offer these additional services. 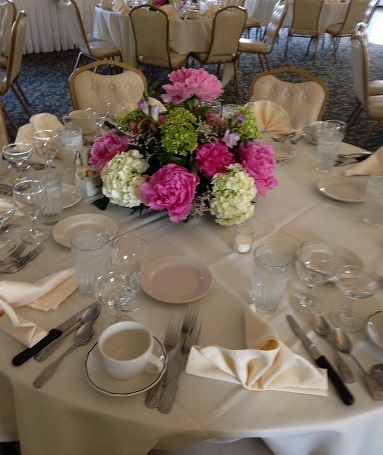 You are welcome to choose from colored table linens. If your choice is not available, we will automatically substitute with white linen. For groups having dinner, the use of our bud vases are offered as well as cake cutting services at no extra charge. Our only requirement to reserve a date for a function is a $100.00 non-refundable deposit. 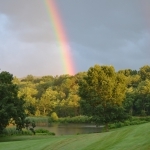 A $500.00 non-refundable deposit is required for all weddings as well as an additional $500.00 non-refundable deposit within six months of the initial reservation to secure your date. 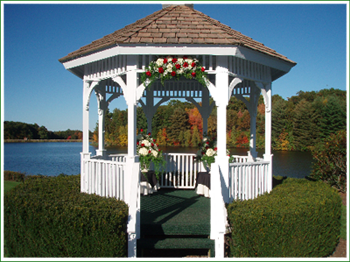 If you have any questions or would like to make an appointment to discuss your plans in person, please feel free to contact the Banquet Office 860-646-0103, Ext 3, at the Manchester Country Club. We are looking forward to being of service to you.